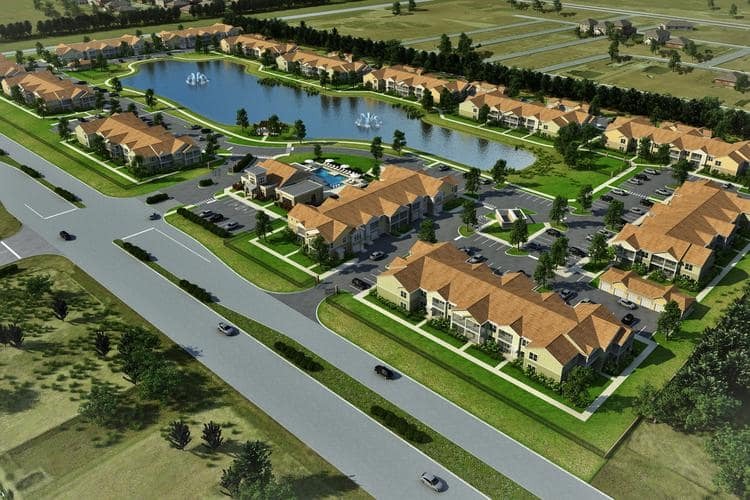 Springs at Tapestry is nestled in sunny Kissimmee, Florida, a beautiful and energetic suburb of Orlando. With our proximity to some of the world’s most popular travel destinations, including Walt Disney World and Universal Studios, you’ll have access to a world-class vacation right in your backyard. But you don’t have to go to the resorts to live your best life. Kissimmee has all the amenities you need right in the neighborhood. Stock your kitchen with fresh produce from Goddess and Grocer and Fresh Market. If you prefer to dine out, try the Cuban fare at Jimmy Hula’s or order tacos from El Tenampa Mexican Restaurant. Kissimmee, Florida is more than just resorts. We’re also home to a long list of reputable local schools and employers. Springs at Tapestry offers short commutes to Florida Technical College and the Osceola Campus of Valencia College. Plus, we boast easy access to Florida Hospital Kissimmee and the Osceola County School District. At Springs at Tapestry, every day can feel like vacation. Call today to schedule your tour of our apartments for rent in North Kissimmee, Florida.